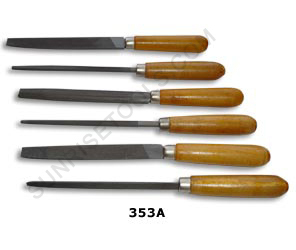 Description :-Every file in this set is constructed using high grade alloy steel and formed into distinctive shapes for trimming, shaping, slotting and cleaning metal, plastic or wood. Great for professional and hobby work. 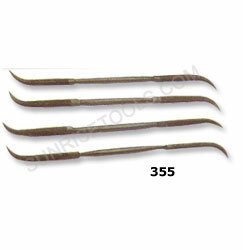 Description :-This is a set of Six Hardened Steel Needle Files with a wooden handle. 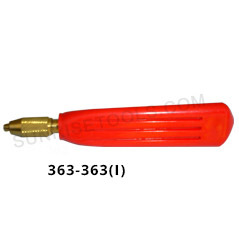 Excellent for woodworking, jewelry work and other applications. Allows precise filing in hard to reach areas on metal, wood, plastic, ceramic and other materials. 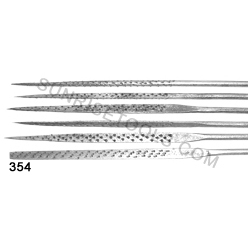 These are highly resistant to corrosion and have a longer life than standard files. 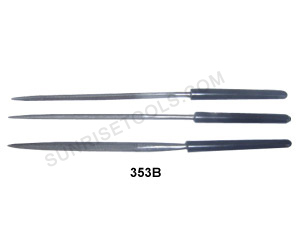 Description :-This is a set of 3 File needle (Round, Half round, Triangle) with black insulated handle. Made of best materials to rigid quality standards and allows precise filing in hard-to-reach areas on plastic, metal, and even other materials. Description :- Each & every file in this set is manufactured using high grade alloy steel and formed into distictive shapes for sevaral small scale and finishing purposes. 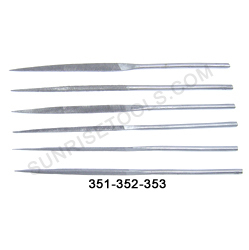 354 File for wax work (set of 6 pcs) in plastic pouch 14 cm. 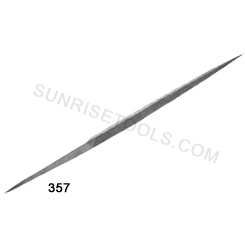 Description :-This 8" File has a tapered shape and mounted on a hardwood handle. 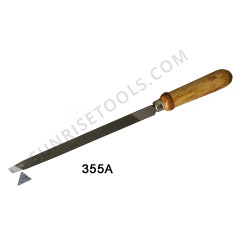 Highly versatile and Ideal for shaping hard to cut material (including sapphire and hardened steel) and sharpen tools. 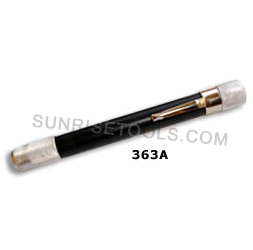 Description :- The file is held flat against the surface it is to cut / smooth. The file is then pushed forward and it cuts on the forward stroke. It is then lifted away from the metal and returned to the starting point for the next push forward. Description :- The file is held flat against the surface it is to cut / smooth. The file is then pushed forward and it cuts on the forward stroke. It is then lifted away from the metal and returned to the starting point for the next push forward. In this set, different shaped files can be used for a variety of works. 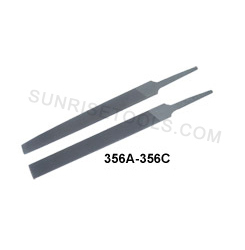 Description :-This 8" double end file has one end medium and other end coarse gives you the ability to reach into corners easily and can be used on wax, plastic or wood. 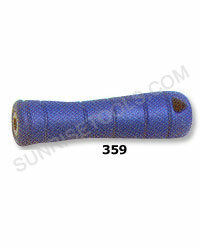 Description :- This handle is made of unbreakable plastic with textured surface for a non-slip grip. Specially shaped to fit the hand for working comfort even over long periods. Hole at top permits convenient hang-up storage. 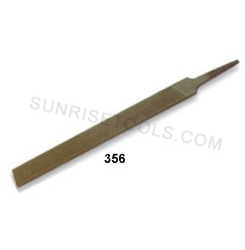 Description :- This file handle can be used with all 6" tang files. 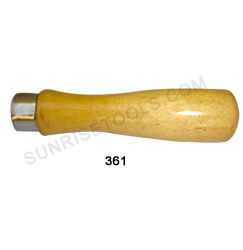 Description :- A useful tool for holding needle files with triangular wooden handle brass collet. For 4" needle and other miniature files. 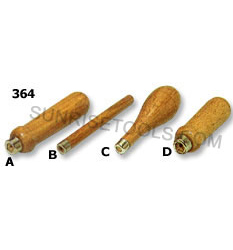 Precision machined collet and hardwood handle lock securely onto files. 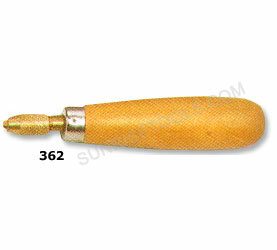 Description :- A useful tool for holding needle files with triangular plastic handle brass collet. For 4" needle and other miniature files. Precision machined collet and hardwood handle lock securely onto files. 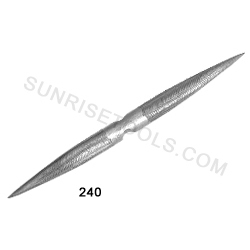 Description :-This Pocket size needle file handle has Comfortable cushion handle and adjustable collets for securing needle files. Durable and long lasting. Description :-These Wooden Handles are made from quality wood and finishes to deliver a quality appearance, comfort and durability. Also have metal ferrules for holding large files and needle files securely.